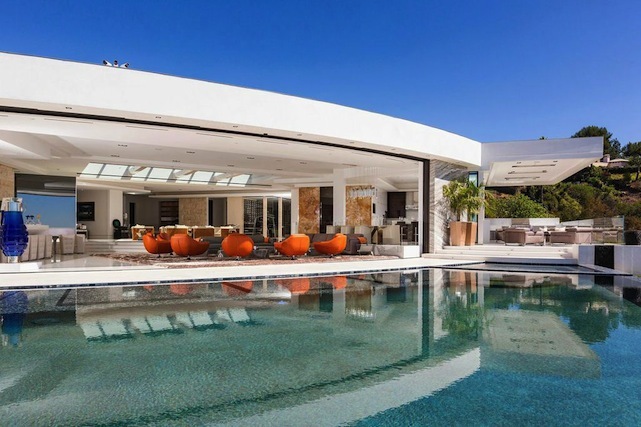 Blake Richards/Tri-Blend Media Productions The fully-furnished turnkey home is located in the Truesdale section of Beverly Hills. Got a sweet tooth and a spare $85 million? Then you could own 1181 N. Hillcrest Road, at the moment apparently the most expensive home for sale in Beverly Hills, and which features its own candy shop. Dining room that seats 24. Panoramic views that extend to Malibu. Wine room fully stocked with 2,500 bottles of wine. An elevator that takes cars down to a lower level garage. Already, the listing has garnered several offers (everyone's who's seen the house has left with a pocketful of candy), though none has gone to contract, a spokesman for the property says. Who likely will buy this over-the-top house? An international billionaire who wants to add a sunny California trophy to their property portfolio, the spokesman says.